Discover something special away from the tourist crowds. 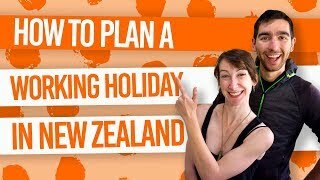 The great thing about being a backpacker in New Zealand is that we have the time to discover amazing parts of the country away from the tourist crowds. As one of our ‘inspirational travel quotes‘ says: “The traveller sees what he sees. The tourist sees what he has come to see.” So what are some of the best places off the beaten track in the North Island? Here is a list of the places you perhaps haven’t heard of in the North Island, but they are still likely to blow you mind. You have been warned. More of a South Island sort of person? Visit 20 Places Off the Beaten Track in the South Island. New Zealand’s active marine volcano lies 49km off the coast Whakatane. On a clear day, you can see the smoke from White Island’s constant volcanic activity from the mainland. Backpackers can visit the island by taking a boat tour and walk its inner crater. Everyone goes to the Waitomo Caves to go tubing, abseiling and climbing with the glowworms, but there are a lot more caves that backpackers fail to discover. Ruakuri Bushwalk track has a fascinating walk past limestone outcrops, small caves, tunnels, and pretty waterfalls. Check out more hidden gems in Waitomo in 15 Free Things to Do in Waitomo. West Auckland has 16000ha of native rainforest, beautiful waterfalls and sweeping beaches called the Waitakere Ranges. All this is nearby the popular surf beach Piha. Check out all the awesome bush walks and beaches in Waitakere Ranges – Guide for Backpackers. Delve into the dark railway tunnels of this historic gold mining location. Along with steel truss bridges, this walk is in the beautiful setting of Ohinemuri River gorge. While making a trip up to the Far North, be sure to stop off at the Waipu Caves for glistening glowworms and looming stalactites. Find out more about Waipu on our Northland – Guide for Backpackers. They are so off the beaten track that you have to go scuba diving to see the best of them. Volkner Rocks are the 3 stacked rocks next to White Island. The marine reserve in the waters below is a top diving site. See more diving locations here: 7 Places to Scuba Dive in New Zealand. On the Hauraki Gulf, you can take a ferry to this nature reserve from downtown Auckland. See New Zealand’s endangered birds as you walk in the forests and along untouched beaches. Everyone talks about the national parks of Tongariro, Fiordland, Aoraki Mt Cook, etc. But there are gems hidden away in the lesser known national parks, such as Te Urewera. Here you can find impressive lakes, forest and stunning waterfalls that makes up the Lake Waikaremoana Great Walk. The Tawharanui Marine Reserve sits off the Tawharanui Peninsula. The area is known for attracting around 50 species of fish, as well as bottlenose dolphins and orcas. On one side, you have a wonderful waterfall, on the other is a natural rockslide. Get on a boogie board and slide! Find this awesome hidden gem near Gisborne. The Rangitikei River is an isolated location for white water rafting. Explore the valley by horseback and walk atop of steep gorges and rolling hills. Looking for safe uncrowded swimming beaches in Northland? Doubtless Bay has 60km of untouched coastline. You can snorkel, walk along the pohutukawa-fringed beaches, and watch the dolphins and orca out in the bay. A similar beach experience as the Bay of Islands without the crowds. The peninsula where Captain Cook’s cabin boy was stolen is the same place you can steal a look at one of the world’s largest gannet colonies. This mountain holds a lot of significance, as it is agreed as being the first point on the mainland to see the sunrise. Also, in Maori legend, the mountain is the resting place of the waka (canoe) of Maui who fished up the North Island. 4WD and walking tours take you up Mt Hikurangi. Find out more about climbing the mountain in Eastland Road Trip Itinerary: Gisborne to Opotiki. In the centre of Lake Rotorua is the sacred Mokoia Island. Visiting Mokoia Island is a truly unique cultural experience, where you must take a boat cruise and be guided around the island. Discover native bush walks among wildlife, a dip in Hinemoa’s Pool, and take part in indigenous food tastings. Kapiti Island gets its fame from the delicious ice cream brand that goes by the same name. The actual island is a bird sanctuary, full of walking tracks and a great place to go kiwi spotting and kayaking. The marine life surrounding island make it ideal for scuba diving and fishing. Learn more at Kapiti Coast – Guide for Backpackers. As seen in the Lord of the Rings, visit the Putangirua Pinnacles! Rain and flood erosion has formed these impressive stone pillars. The leaning rock formation Kupe’s Sail is also worth checking out. The southern tip of the North Island is the home of the much needed lighthouse (there were around 20 shipwrecks there in the 19th century). To get to the lighthouse you must endure a 250-step climb. Also find the North Island’s largest fur seal colony at the Cape. Not only is this a beautiful long stretch of beach, often with good surfing conditions, but Blackhead is at one end of the Te Angiangi Marine Reserve. When there is a low tide, a large bed is exposed with marine life, such as pink coralline seaweeds, Neptune’s necklace (a type of seaweed that looks like a necklace), and patches of sea grass. This, in turn, attracts fish and shellfish easy to find in the rock pools. Up the Waitangi River in Paihia is a forest growing from the water. You can either take a boardwalk through the forest on the Paihia to Haruru Falls walk or kayak through it, while challenging yourself to not crash into every tree trunk along the way.